We’d love your help. Let us know what’s wrong with this preview of Pocket-47 by Jude Hardin. To ask other readers questions about Pocket-47, please sign up. Pocket-47 begins with a seldomly-employed, rarely-compensated Private Investigator (Nicholas Colt) accepting an apparently run-of-the-mill case. Despite Colt's prickly personality and unapologetic smart-aleck comments and mannerisms, he quickly becomes endearing to the reader. His passion and commitment to his new client allow glimpses of the kind and generous heart Colt has tried so hard to harden. It becomes apparent that the case is so much more than Colt could have imagined. As the body coun Pocket-47 begins with a seldomly-employed, rarely-compensated Private Investigator (Nicholas Colt) accepting an apparently run-of-the-mill case. Despite Colt's prickly personality and unapologetic smart-aleck comments and mannerisms, he quickly becomes endearing to the reader. His passion and commitment to his new client allow glimpses of the kind and generous heart Colt has tried so hard to harden. It becomes apparent that the case is so much more than Colt could have imagined. As the body count increases and the plot thickens, the fast pace of this story takes him back to times he's tried to forget. He accepts that things aren't often as they appear; accidents are often carefully orchestrated disasters and regardless of how ignorant the "reasoning" is, people will still follow. This book had me hooked right from the start. Nicholas Colt was a happy, successful musician, until the day he lost his band, his wife, and his baby daughter in a plane crash. He survives and somehow stumbles into a less than stellar career as a private investigator. When he is hired to find a fifteen-year-old runaway, he expects the case to be quick and easy money. But each step he takes drags him deeper into a tangled mess. Nicholas is flawed and driven by emotions even he refuses to acknowledg This book had me hooked right from the start. Nicholas Colt was a happy, successful musician, until the day he lost his band, his wife, and his baby daughter in a plane crash. He survives and somehow stumbles into a less than stellar career as a private investigator. When he is hired to find a fifteen-year-old runaway, he expects the case to be quick and easy money. But each step he takes drags him deeper into a tangled mess. Nicholas is flawed and driven by emotions even he refuses to acknowledge. I connected to his story and couldn't help but hope for him to come out on the winning side. The mystery and suspense kept me guessing. Just when I thought the plot had reached the point where the story had to wrap up, something else happened and took me in a new direction. This is a dazzling first book by Jude Hardin. I can't wait to see what he comes up with next. Pocket-47 by Jude Hardin introduces us to Nicholas Colt, a stylish private eye, in this searing bullet of a novel. It’s a quick 222 page slice of tough Florida life and also a descent into a private compound of white supremacists where the murder of innocents and the drugging of the inhabitants is de rigueur. In any PI book, there are three essentials, characters, plot and dialogue. This book scores a 10 in each category. A rare triple play. Colt is a down on his luck PI, who used to be a great g Pocket-47 by Jude Hardin introduces us to Nicholas Colt, a stylish private eye, in this searing bullet of a novel. It’s a quick 222 page slice of tough Florida life and also a descent into a private compound of white supremacists where the murder of innocents and the drugging of the inhabitants is de rigueur. In any PI book, there are three essentials, characters, plot and dialogue. This book scores a 10 in each category. A rare triple play. Colt is a down on his luck PI, who used to be a great guitarist in a hot band, but his band and family were blown up in a freak accident. He is tough, witty and a real piece of work. He is not afraid to break the rules. PI novels are a bedrock of literature. The solo man ‘s quest to solve the mystery and in the process vanquish his foes must resonate among us, because the bookshelves are full of them. This novel has depth and great dialogue. It should be at the top of your to read list. Colt is living in a trailer park gutting some fish when he is approached by Leithia Ryan, a cute blonde nurse, to find her 15 year old sister Brittany, who she is raising by herself. Brittney used to be taken care of by the Spiveys, a doctor and his wife in a nice house, where she got free tennis lessons, but Leithia is now raising the girl herself. Brittney still gets lessons from the Spiveys tennis pro. Brittney has runaway from home, and the Spiveys have not seen her. Leitha tells Colt that she forbid Brittney to see her 19 year old boyfriend and found her sister gone. Colt however does not find Brittney with the ex boyfriend, but tracks her down to the pad of a huge pimp named Duck. He takes her home. While there Brittney says she ran away because someone is after her and wants her dead. Colt is unbelieving. That night he sees a mystery car outside his place and tails it. On his return, Colt finds Brittney gone. Leithia is then murdered in a particularly vicious manner setting Colt on a manhunt for the girl again. Colt tracks the mystery car to a dealership, which apparently is a front for an illegal car theft operation. Colt is captured and almost dies, but escapes, with the help of Massengill, an ex roadie from his band, now turned cop sniper. After questioning the surviving felon Beeler with a nasty bit of Chinese toothpick torture, Colt is told about Pocket 47, a myth about a how bad things happen to people by bad people by sabotage or other means. Beeler also alludes to Colt’s family being blown up, which sets to Colt thinking there is more to their death than an accident. Soon Colt will tie other people in Brittney's life to her disappearance. Ultimately, Colt links a tattoo on Beeler to another tattoo and finally to a nasty white supremacist compound, where Colt must confront a gang of ruthless killers. In between there are twisty plot lines and great action. The book was unputdownable. Highly recommended for all thriller fans. Jude Hardin is going places. Get on the bus now at the beginning. Longer ago then I would like to remember I picked up a book with an odd name. I read it. I loved it. I told my mother she had to read this author as well. She read it. She loved it. The book was “The Godwulf Manuscript” and the author ended up writing a few more books, all of which I devoured, and loved, along with the rest of Robert B. Parker’s works. The late Parker, and the amazingly productive Lawrence Block who writes, amongst other series, those about the fascinating Matthew Scudder, gave Longer ago then I would like to remember I picked up a book with an odd name. I read it. I loved it. I told my mother she had to read this author as well. She read it. She loved it. The book was “The Godwulf Manuscript” and the author ended up writing a few more books, all of which I devoured, and loved, along with the rest of Robert B. Parker’s works. The late Parker, and the amazingly productive Lawrence Block who writes, amongst other series, those about the fascinating Matthew Scudder, gave us two of the most interesting Private Investigators since the days of Phillip Marlowe. Not hard-boiled dicks, but hard enough to be secure in those times when they were not hard; a new breed of detective. Parker will be missed, and Block doesn’t write enough pages (or enough of his “own” stuff) anymore for me to be as excited as I used to be by his new offerings. Jude Hardin may very well fill that gap. 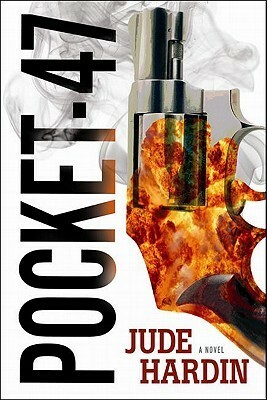 His novel Pocket-47 introduces Nicholas Colt, a PI with the requisite diverse and troubled past. Yet, there are no clichés here, and the dialogue is well above average. The plot is good, a variation on a theme, “Find missing youth, realize there is more to the story. Bond. Roadblock Have to fix things because it is the right thing to do,” yet also different enough that very little of the story was telegraphed. I was a tad taken aback when there was –more- to the story which, at first, seemed to come out of the blue, but it was a good enough “next part” that I soon forgot my “Huh?” and went along for the very enjoyable ride. This is definitely series material, and I will very much look forward to watching Colt grow and mature, along with some of the sidekicks we know will be there by his side. I will not only be reading all future releases, but I’ll be recommending to friends (and my mother, of course). The only downside? Starting a series with a character already in his 40s means he will have to age out and slow down too quickly! Let us not have him age in real time, all right? This was really a fantastic read. Don’t miss the beginning of the next best thing. ehhhh...started off good then got more and more unbelievable and corny as it progressed. by the end i was mostly ready to be done with it. Changed directions towards 3/4 of book. Really strange. The story keeps you reading until it is told! Would be better as a graphic novel, since the characters, plot, and situations are cartoons without much realism. Road trip of adventure not predictable . Writing style nice and compact. plausibility may be bit questionable but enjoyed read. This book reminded me of Family Guy. There was a plot and the plot was going well. Halfway through the story everything changes and it feels like an entirely different plot. I still devoured this one. I love the length of these books. So far all of them have been finished within 2 and a half hours. The next in the series is sitting on my Kindle right now, waiting for me. Private investigator Nicholas Colt is given a job to find a missing child. Things seem to go well at first but before he knows This book reminded me of Family Guy. There was a plot and the plot was going well. Halfway through the story everything changes and it feels like an entirely different plot. I still devoured this one. I love the length of these books. So far all of them have been finished within 2 and a half hours. The next in the series is sitting on my Kindle right now, waiting for me. Private investigator Nicholas Colt is given a job to find a missing child. Things seem to go well at first but before he knows it he finds himself in the middle of a Neo-Nazi conspiracy. I like this Nicholas Colt guy. There are tons of detective novels out there where the good guys follow protocol and slap handcuffs on people. The rogues who go about getting the job done by any means necessary are far more interesting. Coupling that with his demons and wit gives the book quite a bit of color. It's a bit odd how he seems to get away with so many crimes, many of which felonies, during his investigations but I guess you need to suspend belief a bit when you're reading thrillers. I've also begun to really enjoy the writing style of Jude Hardin. It's very fluid and humorous. All the characters bounce off one another and there aren't outrageous methods used to get Nick out of sticky situations. The analogies are so brilliant in their simplicity and few writers I've come across have done as good a job describing settings. The twists and turns within the story aren't too predictable and it will definitely leave you guessing until the end. Wow. This book was more than I expected. The first page was not a great beginning for me. Probably because I was so confused. "...exercised the first. ""...busy with the second. ""I never quite mastered the third." That's what got me so confused, are they terms that have to do with guns? The next page and after that was great. The action was there, events started rolling, and the ball just never stopped. It didn't get slower, only faster, which wasn't a problem. Around the middle, thinking back to what Wow. This book was more than I expected. This is a messed up book. But then I figured, that's just because of the gory stuff. Some of it is detailed, while some of it is brief, but keeps a picture in my mind either way. And I can't really call it messed up, because I couldn't stop reading this book, and it's pretty amazing. The Pocket-47 part didn't seem to be a very big part in this book. Yes, it is metioned some, but it feels minor, and there isn't a very great closure to it. Pocket-47 is tied in with the death of Nicholas Colt's family and his band. In the end, there is a very vague summary written of the plane explosion that caused those deaths, but it doesn't give you any answers. The resolution was nice, short, and sweet. I don't think it could have been any better. After getting through about ten percent of this book, I couldn't discern any reason to keep going. Neither the characters nor the plot grabbed my interest, and the writing is pure pot boiler. Perhaps I'll pick it up later and have a more charitable view of it. If so, I'll revise this review. Jude Hardin introduces us to Nicholas Colt, who reminded me of Jim Rockford from the Rockford Files. Colt is a private investigator living in a trailer, spending his free time fishing, minding his own business, but that’s where the comparison ends. There’s no Angel, no Beth, no Rocky and the story doesn’t take place in California. Pocket 47 is a first person story, with Nicholas Colt, a PI who takes on a case in Florida to find a missing person. His investigation takes him into a private compound Jude Hardin introduces us to Nicholas Colt, who reminded me of Jim Rockford from the Rockford Files. Colt is a private investigator living in a trailer, spending his free time fishing, minding his own business, but that’s where the comparison ends. There’s no Angel, no Beth, no Rocky and the story doesn’t take place in California. Pocket 47 is a first person story, with Nicholas Colt, a PI who takes on a case in Florida to find a missing person. His investigation takes him into a private compound, living with a cult, playing in their band as he tries to find the missing girl. During the journey he battles his own, past personal demons as well as the real ones in the present and discovers they may somehow be linked together. Jude Hardin, has a great “voice” and tells a story that is a pleasure to read. He offers great description, characters and circumstances that will keep you reading. I recommend you pick up his debut novel, Pocket 47, and look for his other future works as well. My stepfather taught me three important survival skills: how to use a baitcaster reel, how to filet a bass, and how to adjust for the kick of a .44 magnum. I had gotten up at six a.m. and exercised the first. By nine, I stood under the shade of a loblolly pine, busy with the second. I never quite mastered the third. That’s why I carry a .38. I wore khaki shorts, no shirt, a pair of Top-Siders, and a ball cap that said Guinness. Typical north Florida fishing attire. I scraped the scales off my third and final fish, looked up and saw a little red car turning from Lake Barkley Road onto my gravel driveway. It was one of those cars I call a Bic. Like the lighters, they’re cheap and disposable. You buy one fresh off the lot, and by the time it needs new tires it’s ready for the junkyard. An internal timing device insures that all working parts take a dive at the precise moment the warranty expires. Twenty years ago, Nicholas Colt had led a southern rock band, was married, with a daughter. Then the plane went down, killing his family, his band, and his career. He left music behind. These days he works as a private eye. When Leitha Ryan hires him to find her runaway little sister, fifteen year old Brittney. He accepts the job at a flat rate and actually locates the girl fairly quickly. Brittney doesn't want to talk at first, only saying she'd left because they were going to kill her. Who were Twenty years ago, Nicholas Colt had led a southern rock band, was married, with a daughter. Then the plane went down, killing his family, his band, and his career. He left music behind. These days he works as a private eye. Soon shots come through the window of the Airstream on the beach he lived in, he chases after them, then finds Brittney gone when he gets back. In short order, he finds his client murdered, tortured first, and a trail that leads him to mysterious cult and a secret that stretches back twenty years. I really enjoyed this book from the moment I began reading it! 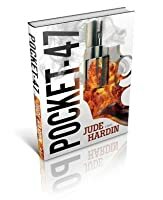 Debut author Jude Hardin has made a great impression on me with Pocket-47. A great cast of characters inhabit this fast moving crime thriller. Florida Private Investigator Nicholas Colt specializes in missing persons and runaways. He is also a former famous musician whose wife and infant daughter along with the members of his band died in a plane crash twenty years ago. The memories of all of them continue to haunt him to this day. W I really enjoyed this book from the moment I began reading it! Debut author Jude Hardin has made a great impression on me with Pocket-47. A great cast of characters inhabit this fast moving crime thriller. Florida Private Investigator Nicholas Colt specializes in missing persons and runaways. He is also a former famous musician whose wife and infant daughter along with the members of his band died in a plane crash twenty years ago. The memories of all of them continue to haunt him to this day. While investigating the disappearance of teenager Brittany Ryan he discovers new information about the plane crash. This novel has plenty of twists and turns and it was hard to put down! Thank you to First Reads because I wasn't aware of Jude Hardin before I saw Pocket 47 on the First Reads list. Jude Hardin is an awesome writer. By the end of the first chapter (actually the first paragraph) I was hooked. The writing style of this book is virtually on a personal level between the main character Nicholas and the reader. I enjoyed the easy style of writing and the humour mixed with twists, turns, violence and intrigue. I am eagerly waiting for the next Nicholas Colt novel. Highly Thank you to First Reads because I wasn't aware of Jude Hardin before I saw Pocket 47 on the First Reads list. Nicholas Colt is a PI that is out of money when a women asks him to help find her missing sister Brittany. He takes on the job and discovers that it is linked to the plane crash that killed his band members, wife and daughter years earlier. This is a pretty basic mystery, with way to much swearing and a mushy outcome. The action is non-stop. At 45 years of age, Nicholas Colt is a PI who we can all identity with. One could say that it's fictionalized realism. His problems, fears, hopes, and emotions are appropriate for most of us. This may not be great literature but it's sure a good read! My first book by this author -- but not my last. Very fast-paced plot makes it a quick read because it is hard to put down. I like the North Florida setting. Makes the story and the characters unique. This was an Amazon daily deal and once I read the description of the book it sounded like it would be a great read. While I liked the book I did not find it to be a great read. I got the book for $1.99 so it was worth it. I like the book. It had a good plot and plot twists. A tad pridictatble. This was an easy read for me. I finished it in a few hours once I had a chance to sit and read it. I recieved this book for free and am in no way bound to give a positive review nor did I recieve any monetary compansation.